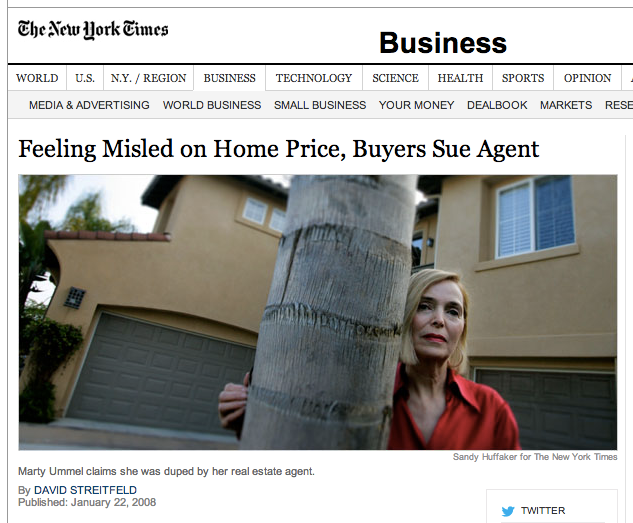 Home › Bidding wars › WARNING Homebuyers: Will feeling blue morph into feeling misled? Whiplash for buyers and sellers? The median sales price of single-family homes put under agreement in February was $295,600, up 7.5 percent from $275,000 in February2013. On a month-to-month basis, the median P&S price was down 7.7 percent from the $320,000 posted in January. The median sale price of a condo put under agreement in Februarywas $282,500 which was up 8.9 percent from $259,450 in February2013. On a month-to-month basis, under agreement median prices were down 5.9 percent from $300,000 in January. Regardless of whether individual homebuyers experience buyer’s remorse, will we see a Bidding War Backlash in the next 18 months and a repeat of regrets like those in 2008? We’ve been collecting some stats that underline the importance of that question. Want to see what bidding wars looked like in Cambridge during 4Q2013 or any other real estate market? Schedule a FREE consultation to learn more about our Bidding War Scorecard.